My mother believed so much in herbs, she had herb teas, herb juices, herb soaps,herb creams and even herb meals. With her there was always a herb or a combination of herbs for any ailment, situation and even for pleasure. This could be from a headache, to a tummy ache, a skin infection, a fever or a lack of appetite! And you know what? She was right! The word herb brings the idea of a plant. Looking at a plant from its leaves to its stems and roots, what the part of a plant constitute a herb? A herb is that part of the plant used for medicinal purposes, flavouring food, making teas, making juice, fragrances and also used as body creams or lotions. A herb is not a drug. In a drug, chemical or some part of the plant is processed. In herbs, the plant or part of the plant maybe the leaves, stem or roots is used. Africans believe a lot in the healing power of herbs. These herbs come from the different parts of the plant. I mean the leaves, stems, tree barks and roots. Any of these plant parts could be chewed raw, made into teas, soups or stews. Herbs can be used when they are fresh, they are also used when they have been dried. 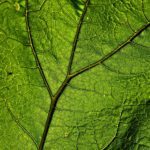 In some cases the fluid squeezed from leaves is rubbed directly on the skin depending on the ailment. All over Africa it is believed that Herbs can heal all kind of ailments. 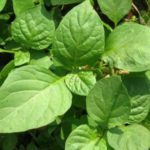 Diseases such as high blood pressure, cancer, diabetes,fever, Eczema, even AIDS and EBOLA were believed to have a particular herb that would heal that condition. Various types of herbs grow in different parts of Africa depending on the weather in that part of the continent. This part of Africa is in the tropics. Being close to the equator, temperature here is high all year round and that says a lot on the vegetation found in this area. Kenya has the herb called African nightshade. It is recommended for people with conditions such as malaria, iron deficiency, pregnant and nursing mothers. African nightshade is generally cooked as a vegetable stew. Tanzania has amaranth also known as pigweed or calaloo which has loads of calcium and zinc. It can be eaten cooked or eaten raw and it is used in salads. West Africa is also located close to the equator with temperatures above 20 degrees centigrade all year round. It has a lot of trees, shrubs and grass. Gabon and Cameroon have the Iboga root. It known for its power to break the addiction to heroine. Cameroon and Madagascar have the Pygeum herb which is known to reduce cholesterol and inflammation in the body. 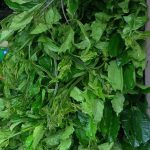 Nigeria has these herbs – Ewedu or Jute leave – is a dark green leaf that goes slimy when cooked. It protects the body’s immunity. Has antioxidants that keep your skin looking firm. 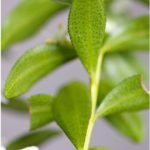 – Bitter leave is rich in quinine. This leave is best chewed raw. It treats malaria and other fevers. – Hibiscus Tea is a Red tea that has its home in the northern area of Nigeria and is popularliy called zobo. This herb tea is popular for managing high blood pressure. The hibiscus plant is also cooked in vegetable soups. – Lemon grass is another healing herb found in West Africa. Most of North Africa has the Sahara desert. The vegetation is mostly sandy, there is very little plants growing there. But of course the inhabitants of this area still have some very healthy herbs. North Africans tend to combine their herbs with spices. 3 of their most popular combinations are: Ras el Hanout, Harissa and Berbere. Being far from the equator has temperate weather and some interesting herbs. Buchu is known to the South Africans as a miracle herb. It is an excellent detox tea. It is also used in treating arthritis and infections in urine. The African Ginger is also in South Africa and is used on ailments such as colds, asthma and flu. The Violet tree is used all over Africa but particularly in Zimbabwe. It is used to treat coughs, fevers, snake bites, tooth aches and lots more. The Devi’s claw is found mostly in Botswana and Namibia. It is known to heal headaches, diabetes and menstrual pains. Rooibos is reddish in colour hence it is called red bush. Rooibos is rich in antioxidants and can protect the body against stroke, heart problems and cancer. African herbs can be chewed raw, dried and made into teas or they could be cooked as vegetable stews and soups. Which ever way you choose to have them, the fact is they are healthy and they heal ailments in your body. Have some herbs everyday and let me know how you get on with them. Leave a comment or question and I will get back to you within 24 hours. I love your site. It has such useful information. I’m sixty years old. My doctor says that I don’t have diabetics, but I have constant have pain in my feet. My father and grandmother died of complication from diabetics, and I truly believe that food should be my medicine. I constantly crave sweets, and I know the scorn of diabetics is hiding somewhere in my body waiting to pounce. Can you suggest an African diet that would save off diabetics into my life? I want to know what herbs and vegetables I should eat to keep my body in tune with my lifestyle and never get diabetics? Any suggestions would be greatly appreciated. Herbs and spices are the primary “medicines” in our family. When you look at the side effects listed for most of the drugs we take, it is horrifying. Plus the herbs and spices have many components that act synergistically that are left out when the active compounds are synthetically re-created. Many of the herbs mentioned here have not been on our radar. Now they will be for sure! Thanks for the great article about African herbs I found it an interesting read. It was also very good that you gave us some insights into what they can be used for. Do you know if these are available in the UK and other countries ? It would good to try some thanks again for your time. Thanks Martin, yes these herbs are surprisingly found in the UK. They can be found in African groscery shops. Great webpage on “A list of Herbs and their Uses”. Yes, I agree that herbs can and do cure some of the ailments known to man. Personally, I think we have all the cures here on earth for all of the diseases known to mankind but we haven’t discovered all of them yet. I believe herbs are much better to use for an ailment that a drug. Drugs have side effects! Africans have been using herbs for a long time now and are experts in their use. Natural cures are the way to go. We need to get information about herbs out there so people can use them in getting and staying healthy. You are right Mick, thanks for your comment. That is indeed quite the list with some pretty big claims. One claim is that Devils claw heals diabetes. Im sure many of these claims are justified. Thank you for having the courage to stand up and talk about what really works. This is such a cool list of herbs and their uses! I have always been interested in the medicinal uses of plants. I am a wildlife biologist but I also enjoy botany in moderation. Haha. But I have no knowledge of African plants. It was cool to read about the sheer variety of herbs and uses. A cool medicinal plant use that I know from where I live in North America, is that the powder that is on the outside of quaking aspen bark can be used as a natural sunscreen! 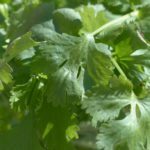 Great article on her herbs and the use of them. I have a few questions for you, I see that a lot of the herbs that you’re talking about are from outside of the country… Or at least my country I live in the US. Are there any extremely beneficial Herbst here? Also I’ve always wondered this you know you can always get dried herbs and you can even get dried herbs in a pill form, when you do it that way does the nutrition or any of the benefits from the herb leave it? Herbs are so good Jonny. When you dry them the water in them dries off depending on the way it was dried up to 80% of the nutrients can be retained.